Consider this very real North Carolina accident case: A 40-year-old woman was driving on a main road when a construction dump truck exited a work site, failed to yield and struck her car in the side. The woman suffered severe injuries to her pelvis, forehead, spleen and kidney. The victim of this dump truck accident contacted Glover Law Firm. We were able to successfully help her to hold the driver and his company responsible for her injuries. Each case is different. Our past results do not guarantee that we will reach a similar result in your case if you or a loved one has been injured in a dump truck accident in Elizabeth City, the Outer Banks or elsewhere in northeastern North Carolina. However, as this case shows, our experience helps us to know how to handle the unique issues that arise in these types of cases. To learn more about our experience and how we can assist you, call us today or contact us online. Our consultations are free and confidential. We do not charge for our services unless we recover for you. “Dump truck” can be used to describe many different types of vehicles. At Glover Law Firm, we consider dump trucks to include everything from small, standard-size trucks to large, five-axle commercial trucks that can weigh in excess of 65,000 pounds when fully loaded. These trucks are a common sight on the roads in northeastern North Carolina, especially near the region’s numerous sand pits. They are often used in construction projects and for moving sand, asphalt and other materials from mining operations. Due to the size and weight of most dump trucks, they can cause serious injuries and fatalities when they collide with other vehicles, including passenger cars and trucks. Additionally, bumpers on dump trucks are either placed high or omitted for added ground clearance. This allows the entire front or rear of an automobile to go under the truck in a collision. The passenger compartment of the vehicle can be penetrated or crushed as a result. Also, because of the nature of their function, dump trucks are often driven in reverse, which limits the driver’s ability to see other vehicles or pedestrians. Another problem that we have seen at Glover Law Firm is that dump trucks often travel with their loads uncovered or unsecured. Cargo such as gravel can spill from the truck, damage other vehicles or cause hazards on the road. 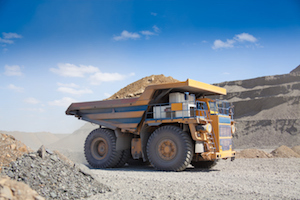 Loose dump truck cargo can smash windshields, cause other damage to a car or puncture tires. The sudden impact of an object smashing into a car or a tire blowout can make a startled driver lose control of his or her vehicle and crash. When we take on your case, Glover Law Firm will conduct an in-depth investigation to determine how your accident occurred and who is at fault. While the truck driver may be the most obvious to blame for the crash, others may be legally responsible for your injuries as well. Trucking companies, truck driver agencies, truck manufacturers, contractors, employers and insurance companies may also be obligated to compensate you. We will work efficiently and effectively to prepare your case for settlement negotiations or for trial. We will seek compensation that may include payment for your medical expenses, lost income, pain and suffering and other losses. If you have been injured in an accident involving a commercial dump truck in the Elizabeth City area or on the Outer Banks, the knowledgeable attorneys of Glover Law Firm can protect your rights. Simply call us today or use our online form for a free consultation.